Stimulated by the closing lectures of professor Wertheim, we are in search of signs of ignorance in and on the Indonesian past this morning. Put in other words, we are looking for blind spots in the history of Indonesia during the first decades of its existence as an independent state. In historiography, it is a well-trodden path, which leads us from 19th century positivism to the peregrinations of post modernism and after. In their daily practice, historians and social scientists have never fully embraced either one of these philosophies. After all, the first approach would have led us to make ever-expanding lists of facts without offering understanding, the other towards an empty space crowded with ghosts we are unable to define. More often than not, historians have looked for what is relevant for their understanding of past and present, aware of the fact that both things are interrelated. As far as I understand, it is in this spirit that Wim Wertheim presented his farewell lectures here in Amsterdam, and it is in that same spirit that we have to look for blind spots today. In their contributions, Mary van Delden and Coen Holtzappel have already discussed some of the events of the 1940s. Their focus was on the dispute between the different groups in the centre of the young Indonesian Republic about how to organize their state and wage their struggle for independence. In the afternoon, our attention will shift to the mid-sixties, and mainly to the same kind of questions. To bridge the gap in time and subject, I have decided to focus on the New Guinea dispute. It enables us to shift our attention to the fifties and early sixties, to international affairs and, above all, to the way both parties handled the crucial matter of Papuan nationalism. I will say something about its origins, the way it popped up in the fifties and survived on the stage of history until the present day. Moreover it will give us a fine opportunity to test how the phenomenon of the blind spot works in policymaking and the process of history writing. Nationalism, then, can be summarized as the political expression of a sense of collective identity. A special brand of it developed in the early twentieth century in the more progressively administered European colonies in Asia. Its development is aptly described by Dutch civil servant Jan van Baal in his small but penetrating booklet, Mensen in Verandering (Van Baal 1967, pp. 90-99). In such colonies, and he meant the Netherlands Indies, modern rule and economic exploitation demanded the creation of effective administrative structures and the accompanying paraphernalia of education, infrastructural works and means of transport. To man the colonial state, promising young men from the native elites received professional training and were put to work in various parts of the vast colonial domains. In doing so they transgressed the boundaries of their previous native lands and got to know the wider colony as their own country. It also meant partial adaptation to the culture of the European colonists. The latter, however, had difficulty accepting them as equals in the colonial enterprise. This confrontation led to the development of a new sense of identity, leading to the sprouting of nationalist movements everywhere. In Indonesia these found their focal point in the Youth Conference of 1928. Here, the new nation was provided with the symbols of a national oath, a flag, a national anthem and the acceptance of a common language. They were the symbols of the new nation on the road to independence in the second half of the forties. That nationalism, however, did not spread equally over the whole of the archipelago. Its creation had mainly been the work of the Javanese-Minangkabau elites that had delivered the cadres for the colonial state. The people from the Moluccas had played a rather important role in this process as well. However, many local and ethnic groups only followed at a distance, especially in the eastern part of the archipelago. Of these groups, the Papuans had been left out nearly completely. They lived in some of the least developed areas and had hardly participated in the forming of the colonial state. Until well into the 20th century the Papuans had no sense of having a common identity of their own. In this region, modern colonial development and the accompanying processes of acculturation had started late, and as a consequence the Papuans had missed the nationalist boat. None of them were present at the 1928 youth conference and everything that went with it. Even so, it is questionable they would have participated anyway, given the cultural distance between them and the rest of Indonesia. In 1945 as well, when Indonesia’s independence was declared, no Papuans were present. That is not to say that they were ignored without a word. Their future was rather extensively discussed in the meeting of the preparatory committee for Indonesian independence on July 11th 1945. Prominent nationalists discussed the territorial extent of their new state. Most prominent among them were Hatta and Yamin. The latter pleaded for the greatest possible territory, including the surrounding British possessions on Malaya and Kalimantan. In his opinion, Papua belonged to the Indonesian lands as well. Although the population differed from that of the rest of Indonesia, the Indonesians had dwelt there since immemorial times, which was sufficient to defend its inclusion in the new state. Moreover, the internment camps in Boven Digul had strengthened these ties in recent times. In this respect Yamin was warmly supported by Sukarno, who added that anybody who cared to cast a glance at the map of the archipelago, could see it lying there. So obviously, it was the will of God that New Guinea be a part of the new Indonesia. One of the other speakers, the Sumatran economist Mohammad Hatta, took an opposite view and warned his audience against all too imperialistic propositions. Partly he did so for financial and organizational reasons. For the first decades to come, Indonesia would not have the means at its disposal to develop the backward lands of the Papuans. But he had a moral argument too, adding he was not convinced by Yamins arguments in support of uniting the population with the rest of Indonesia. In the end, it was left to the Papuans themselves to decide what kind of state they would prefer. It was an argument in favor of the right of self-determination, but Hatta did not find much support among his audience. When it came to voting, only 6 of the 66 members of the committee opted for his proposal to leave out West New Guinea. They obviously accepted another thesis of Yamin, that if the Papuans were no Indonesians yet, they could be made to become so. Thus, the preferences for a greater Indonesia were laid down for the future. Another central decision of the preparatory committee for Indonesian Independence was that it laid out its preferences for a unitary state under strong presidential rule. It was to become the core of the ensuing conflict between the Indonesian Republic and the Dutch later in the year. After they had sufficiently made up their mind, the Dutch opted for self-determination and federalism as the central values for the making of a new Indonesia. That option served two ends. The first was to restrict the territorial extent of the Republic, the second to do justice to the wide variety of cultures and different stages of development within the archipelago. It led to the agreements of Linggajati and Renville, which were difficult to swallow for the Indonesian Republic. It resulted in the Round Table Conference of 1949, which created a federal Indonesia in which actual power was in hands of the leaders of the former Republic. However, it enabled the Dutch to reconstruct their economic position and left West New Guinea in their hands for the time being. That RTC-decision marked the beginning of a 12-year conflict about the future of New Guinea. It stimulated the Dutch to begin a series of programs to accelerate development of the country. These were essentially the same development policies as applied in the Indies before 1942, but this time decidedly more based on the principle of self-determination. Thus they left open the possibility of a Papuan option for Indonesia from the beginning, but within a changing perspective. During the first few years, the development of New Guinea was seen as a long-term affair. On a practical level, relations between Indonesia and the Netherlands were still effective. Yet these deteriorated systematically, leading to increased pressure on the remaining Dutch interests in Indonesia. These developments were parallel to a decline of the Indonesian parliamentary system. When in the second half of the fifties all other options for putting pressure on the Dutch were exhausted, Jakarta began to mobilize any means at its disposal to remove the Dutch with force from their remaining position in New Guinea. From 1958 on, President Sukarno and his foreign minister Subandrio saw fit to exploit the Cold War to this end. Both the Soviet Union and the United States were incited to provide them with modern armament. They did so successfully. After a few years, Indonesia was in possession of a military might with the capability to beat the Dutch. This military development was part of a broader phenomenon. The Cold War accelerated the process of decolonization all over the world. The United Nations played a crucial role in this process. In October 1960, the Soviet Union introduced the General Assembly to a draft declaration declaring all colonialism an evil that had to be swept from the surface of the earth as soon as possible. It was eventually accepted on 14 December. The quality of the administration and the capacities of a population for self-government were no longer acceptable preconditions for independence. In doing so, the UN not only weakened the position of the Dutch, but that of the other European colonial powers as well. Meanwhile in New Guinea, the Dutch were countering these developments with a flight forwards. Existing development programs were accelerated. More attention was devoted to the training of Papuan elite. Increasing numbers of Papuans entered the lower and middle ranks of the civil service. Moreover, regional councils were erected, giving the population a direct say in the running of its local affairs. On top of all this, a New Guinea Council was created in April 1961, partially chosen and provided with advisory powers on a wide range of topics. It was the beginning of an independent political life of the Papuans, which led to a flowering of political parties. To the Papua elite, it offered many opportunities to take initiatives of their own. Later in the year, they established a National Committee that voted for a national flag, an anthem and some other tokens of nationhood. It was a neat repetition of the Sumpah Pemuda of 1928. This time, however, not directed towards the formation of an Indonesian nation, but one of the Papuans themselves. In its international policies, the Netherlands played the cards of the UN, trying to solicit the organization to take a direct say in the administration of the Papuans. It was an endeavour to surpass Indonesia in the fight against colonialism. Apparently, the Dutch were working for the sake of self-determination for the Papuans, while Indonesia stuck stubbornly to the proposition that they were already theirs. It was Indonesia, and not the Dutch that were the colonialists. That Luns-plan might have been a brilliant idea, but in a world divided in political and cultural blocks, it did not work out well. 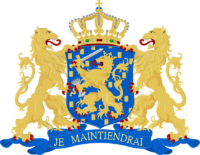 The Dutch minister failed to collect the votes he needed for the acceptance of his plan, not least by the subterraneous but effective opposition from the United States. The result was an invitation from the Secretary General of the United Nations to the disputants to come together and resume their discussions on the fate of the Papuans, this time under supervision of a third party. In light of the Indonesian preconditions, acceptance could only mean acceptance of the Indonesian claims. Grudgingly the Dutch cabinet agreed. The meeting led to new negotiations. These took place under increasingly grim conditions of threatening war and continuing US pressure. On 15 August 1962, the New York Agreement was signed which provided for the transfer of the administration to the UN as a step to an Indonesian take-over. The only concession to the Dutch was the option of an Act of Free Choice for the Papuans in 1969 under Indonesian administration. It was close to a failure of Dutch policies for self-determination during the previous 12 years. For most Papuans as well, it was a bitter pill to swallow. At the time, a new future was starting to appear at the horizon as an independent state of their own, possibly linked together with the rest of the Papuan lands in a Melanesian Union. It led to heated discussions among themselves and with the flabbergasted Dutch. For the Papuans, these discussions took place in a spirit of a fervent new nationalism, and the possibility of declaring independence on their own initiative was seriously discussed . However, it was rejected in the end. Upon insistence of the Dutch, the Papuans accepted the agreement and decided to wait for the 1969s Act of Free Choice. So far the story of rising Papua nationalism in a nutshell. It offered a striking parallel to earlier developments in the rest of Indonesia. Both stemmed from the first generations of Western trained cadres, and both were modeled along the lines of the modern national state that had developed in Europe in the 19th and early twentieth centuries. However, both nationalisms turned out to be detrimental to each other. Papua antagonism towards its western neighbors had its roots in the past. The wanderings of Yamin’s ancestors had mainly consisted of slaving raids on their coasts. It was followed by condescending behaviour from Moluccan officials in service of the Dutch. Nevertheless, for many years the door had not been closed completely. Whatever their shortcomings, many Moluccan gurus and administrators had served them well. The developments in Indonesia after 1945 had been followed with interest, and had not been completely rejected. When the option of separation arose in 1949, some of the Papuans had hesitantly accepted it. After all, Indonesia would become the nearest neighbor, and good relations would be necessary for their own survival. Yet, developments in Indonesia soon widened the gap. The dissolution of the federal states and the war in Ambon had taught them that not much freedom for minorities was to be expected in Indonesia. When Yamin, as a member of a combined Dutch Indonesian fact finding committee, visited New Guinea in the summer of 1950, he had great difficulties in finding traces of sympathy for the Indonesian cause. It deteriorated in the following years. Dutch development policies were warmly accepted by the Papuans, which widened their distance from Indonesia. So did hesitant cooperation with Australia, with its implicit promise of a future all-Papuan or Melanesian state. Still later, the impending war brought them to think of their Indonesian neighbors as foes. It was accelerated by Indonesian propaganda through radio Makassar and Ambon, threatening Papuans who assisted the Dutch. Later experience was to confirm this trend. After 1962, right from the beginning the intruding Indonesian soldiers, behaved as hostile occupants. Every Papuan nightmare came true, and years of oppression followed. The Indonesian administration was marked by suspicion towards the Papuan elite, which was subsequently replaced by newcomers. All modern facilities crumbled away and they had to learn to live as third rank citizens in an impoverished and badly managed country. Those who dared to speak up for themselves were beaten, jailed and killed. When Indonesian foreign minister Adam Malik visited the country in 1966, he was shocked by the arrogance among the rulers, and the depression he encountered among the ruled. The Act of Free Choice was duly held, but manipulated by Indonesia from beginning to end. There has been continuing repression and exclusion from the rest of the world ever since. The story of Papuan nationalism is a story of blind spots everywhere. They can be detected in the behavior of the Dutch, Indonesians, Americans and other participants in the UN. For any of these, explanations may be found. However, that exceeds the scope of this presentation. So let us concentrate on the blind spots of the main players in the field, that is to say: Indonesia, the Dutch and the Americans, and even those we will touch upon just lightly. First Indonesia. We have to go back to the meetings of the preparatory committee for Indonesian independence of 1945. There, a large majority accepted the inclusion of the Papuans in the new state, without giving much attention to their wishes. For most of its members, it was quite evident that the Papuans would accept this without protest. If not, they could rely on the assurance of Yamin that the Indonesian state would be able to educate them in the spirit of its own nationalism. Thus, its leaders simply acted as if Indonesian nationalism was already an accomplished fact, and refused to accept it when this proved not to be the case. During the big campaigns of the fifties in support of the struggle for West Irian, the people of Java were made to believe that the Papuans were already full-fledged Indonesian citizens, craving their liberation from Dutch rule. So when its soldiers and administrators entered the country in 1962, it came as something of a shock to them that they were not met with a warm welcome, but with suspicion. The Papuans recognized them as their earlier foes. As we have seen earlier, the new rulers did not much to improve that situation and continued to make it worse in the years after. To the Indonesian mind, Papuan nationalism was not an acceptable proposition. It was negated and repressed, as is done to the present day. If there was ever a blind spot for Papuan nationalism, it was here. Next, there are the Dutch, about whom a word must be said. We have seen that they had pushed the cause of Papuan nationalism to the limits of its capacity. They had done so, not because they deemed the time ripe for it, but for political reasons. It was accepted in Papuan circles, though not without misgivings. The cleverest among them felt it was an initial maneuver by the Dutch in order to sneak out and eventually leave them in the dark with the Indonesians. This suspicion proved justified by the facts. Nevertheless, they played the game as best they could. However, chances for Papuan nationalism were over by the time it was born. In the summer of 1962, Dutch policies took their decisive turn. Since that time, Papuan nationalism did not suit them any longer and it was nearly completely forgotten. All attention went to the renewed friendship with Indonesia, but the Dutch never put pressure on this friend in order to make it keep its promise of fair treatment of the Papuans. During the Act of Free Choice, the Dutch kept quiet. On the road towards it, in May 1969, the Dutch and Indonesian ministers Malik, Luns and Udink met in Rome to pacify any remaining doubts. During that meeting they took note of each other’s plans: the Indonesians promising a honest plebiscite, the Dutch direct support for the development of the Papuans through independent channels. They made it public in a solemn statement. However, when it came living up to the agreement, Indonesia backtracked. The plebiscite turned out to be a fake and any direct links with New Guinea through third channels were not acceptable to Indonesia. Any support for New Guinea henceforth went through IGGI and Bappenas, where Papuans had no say. Therefore, in the end they were left empty handed. It was accepted without visible protest. Their fate and ambitions have been a conspicuous blind spot in the Dutch-Indonesian relations ever since. This was true as well for the United Nations and Australia, the most interested foreign countries. In the United States, policies were guided exclusively by the demands of their Cold War with the Soviet Union; for Australia the wish to retain a Western power in New Guinea proved the underlying need for working relations with its northern Asian neighbor. The fate of the Papuans, let alone their political aspirations, was hardly a matter of relevance to the leading politicians of these states. If any, manifestations of Papuan nationalism in the early sixties were nearly completely dismissed as a result of rather opportunistic moves on the part of the Dutch. The end of the conflict and the transfer of West New Guinea came as a gift from heaven to most of the Western countries and it enabled them to settle their relations with Indonesia on a more stable foundation. Finally a word about the academic world, especially in the Netherlands. The end of the conflict with Indonesia created new opportunities. A cultural agreement was reached, which was part of the Program Indonesian Studies. The program promoted academic cooperation with Indonesia between 1974 and 1992. But in this case as well, it was quite evident that Indonesia was not willing to accept special Papuan-programs that might have political implications. Therefore, the program remained limited to some anthropologist, linguist and bibliographical projects. This was also true for the Iris projects led by Stokhof since 1992 . As far as I can remember, this restriction was accepted as a matter of fact by all academics involved. We were very happy as well with the new opportunities to cooperate with Indonesian institutes, and it was not hard to accept some limitations. After all, not much was heard about Papuan nationalism at that time. Outside the sphere of direct cooperation, scholarly work on New Guinea concentrated on internal Dutch and international policies. The conflict with Indonesia about the future of New Guinea was studied as being the result of some deviations in the Dutch psyche, or as the outcome of international machinations. You can tell from the titles, running from Lijpharts Trauma of Decolonization to De Nieuw-Guinea kwestie, aspecten van buitenlands beleid en militaire macht, written in 1984 by the former Secretary of State for Defence De Geus. There were comparable publications from R. Gase and the journalists Van Esterik and Koster. Here the focus is on the behavior of Joseph Luns and his manipulation of American promises. Other works focus on the personal experiences of the Dutch soldiers and administrators in New Guinea. All of them fine works in their genre, but they remain silent on the fate of the Papuans. The only real exception is the work of former civil servant in New Guinea, Kees Lagerberg, who published West Irian and Jakarta imperialism in 1979. 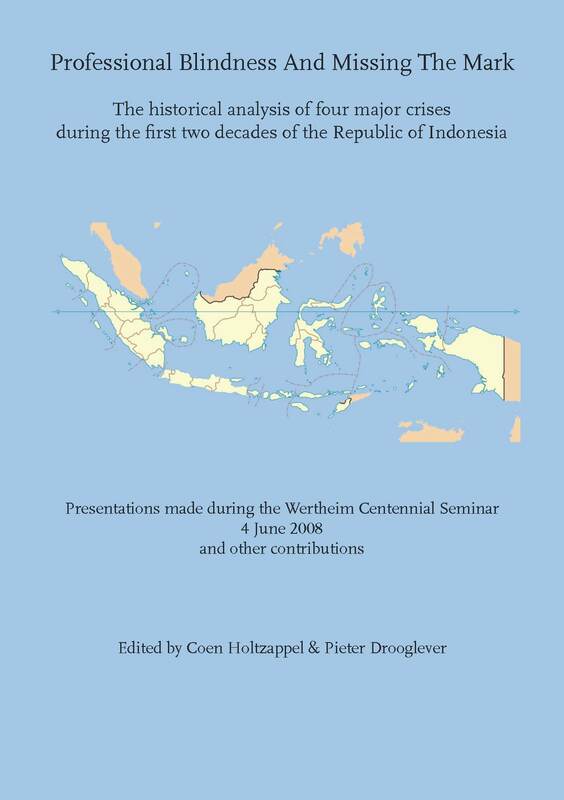 The role of Indonesia and the fate of the Papuans were discussed in a factual and critical way in this book. No wonder the Indonesian government disapproved of the book. Lagerberg was called in at the embassy in The Hague, and was censured sternly for his foolish behavior of seeing things different from Indonesian orthodoxy. He was forbidden to enter the country for years. It certainly was no stimulus for others to tread the same path. And so, in Dutch academic circles, the subject of Papuan development, their ambitions and their nationalism remained a blind spot. With some exceptions, the same was true for the English speaking countries. Notable exceptions here were Nonie Sharp, Robin Osborne and Carmen Budiardjo. In Indonesia itself, John Djopari saw fit to place critical notes in his 1993 OPM study. Under these conditions, the developments in West New Guinea in 1998 came as a big surprise, for Indonesia as well as the rest of the world. In that year, in the closing days of the Suharto regime, out of the blue the Papuans proclaimed themselves loyal to their earlier nationalism, waving the long forbidden flag and collectively singing their never forgotten anthem. They organized mass meetings and formulated their demands to the Indonesian government. They invoked their national rights, and asked for a reprisal of the sadly mismanaged plebiscite of 1969. They wanted to make history right, as the phrase rang. The result was that Indonesian president Abdurrahman Wahid spent the first day of the new millennium among the Papuans, promising them greater freedom and, if it came to that, even the right to secede from Indonesia. Ever since, the wheel of history has been turned back considerably, but not to the point where it all started. Talks about greater autonomy are going on, but pressure will be necessary to bring the Indonesians to real concessions. However it may be, the issue of Papuan nationalism is back on the agenda, and it deserves the attention of policymakers, historians and social scientists alike. Budiardjo & Liem Soei Liong, West New Guinea, The obliteration of a people (London 1983). 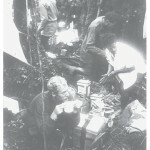 Djopari, John R.G., Pembrontakan Organisasi Papua Merdeka (Jakarta 1993). Drooglever, Pieter, , An Act of Free Choice. Decolonization and the Right to Self-Determination in West Papua (Oneworld, Oxford 2009). Also available in Dutch (2005) and Indonesian (2009) editions. Esterik, Ch. van, Nederlands laatste bastion in de Oost. Economie en politiek in de Nieuw-Guinea-kwestie (Baarn 1982). Gase, Misleiding of zelfbedrog. Het Nederlandse beleid ten aanzien van Nieuw-Guinea (Baarn 1984). Geus, P.B.R. de, De Nieuw-Guinea Kwestie, Aspecten van buitenlands beleid en militaire macht (Leiden 1984). Koster, Ben, Een verloren land. De regering Kennedy en de Nieuw-Guinea kwestie 1961-1962 (Baarn 1991). Lijphart, The Trauma of Decolonization. The Dutch and West New Guinea (New Haven and London 1966). Miedema, Jelle e.a. (eds. ), Perspectives on the Bird’s Head of Irian Jaya, Indonesia. Proceedings of the Conference Leiden, 13 – 17 October 1997 (IIAS, Amsterdam-Atlanta 1998). Sharp, The Morning Star in Papua Barat (North Carlton 1994).